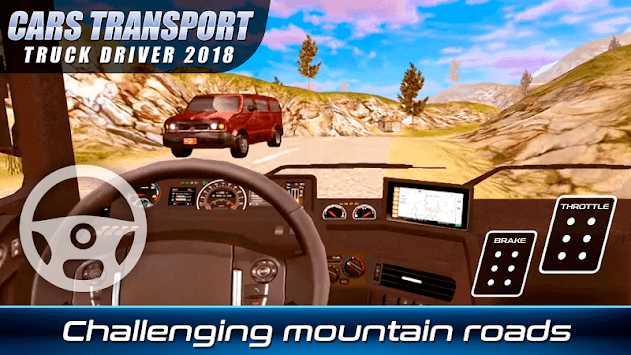 Get behind the wheel and drive heavy trucks to transport cars through mountainous landscapes, with numerous roads and dangerous crossings. Your duty begins with loading the vehicles inside the transport truck trailer. Once the cars are inside the cargo truck hook the cabin of the truck to the trailer, then you have to drive your truck and drop them on their destination. Park your truck at destination. The offroad mountain track is very dangerous to drive because of the rough and steep path. Be careful while climbing hills and mountains because the load can be destabilized and you could lose control of the truck.Transport the cars to a destination as fast as you can so be careful with the cut roads. 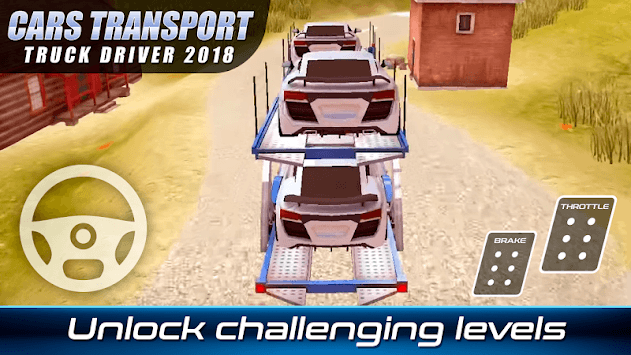 Enjoy of 10 challenging missions where you have to show your perfect driving skills to manage the heavy truck drive, learn how to park an offroad truck and overcome difficulties in climbing hills and become the best in your trucking business. 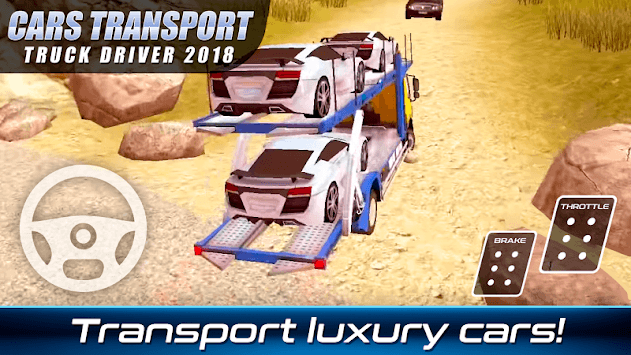 Download now for free " Cars Transport Truck Driver 2018" and get ready for an awesome driving experience.